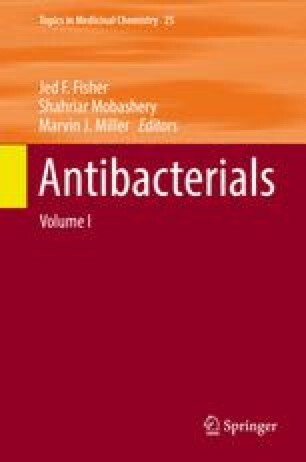 Will the future of antibacterial therapy rely on an ongoing pipeline of new small molecule, direct-acting antibacterial agents that inhibit or kill bacterial pathogens, referred to here as antibiotics? What role will these small-molecule antibiotics have in the control of the bacterial infections of the future? Although there is today increased activity in the field of new antibiotic discovery, the history of this field over the past 30 years is a history of low output. This low output of new antibiotics does not encourage confidence that they can be central to the future control of bacterial infection. This low productivity is often blamed upon financial disincentives in the pharmaceutical industry, and on regulatory difficulties. But I believe that a critical underlying reason for the dearth of novel products is the fundamental difficulty of the science, coupled with a failure to directly grapple with the key scientific challenges that prevent forward motion. The future fate of antibiotic discovery will depend upon the degree to which the rate limiting steps of discovery are fully recognized, and the discovery technology turns to overcoming these blockades.